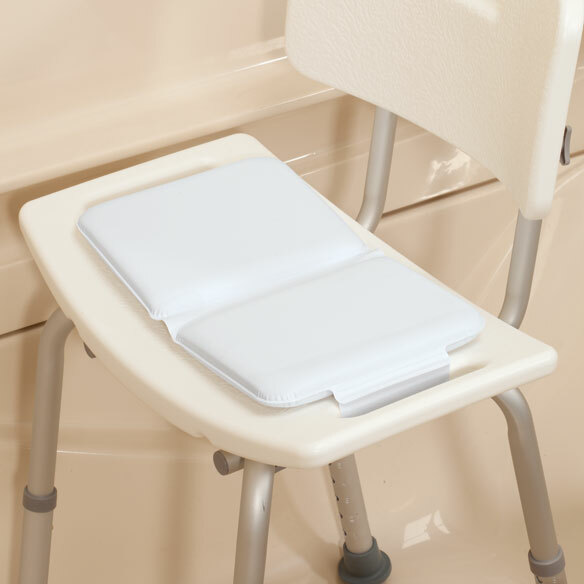 Bath seat cushion adds comfort to a rigid plastic bath seat for a more enjoyable experience. 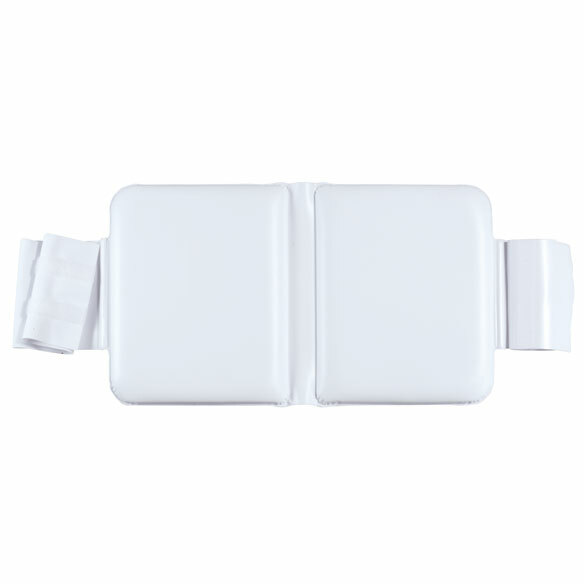 Waterproof bath cushion securely attaches to any standard bath seat or bench with adjustable hook-and-loop straps that fasten underneath. Bath chair pad adds cushioning to a rigid plastic bath seat. Attaches easily and securely with adjustable straps. PVC exterior with sponge interior. 14 1/2"L x 8 1/2"W x 1"H.
I love this product. I will be telling others about it. In the shower on my shower stool. I use the product as it is entended. It is more comfortable than I thought it would be. I am really glad I purchased them. This cushion was too small and uncomfortable. Would not recommend. for comfort when showering sitting down. I could not find this item on any other sites, and wanted to try it out on a new bath bench for softer seating while showering. I trust this will be a comfortable addition to the bath bench. I hope the cushion on the hard seat will make my shower more comfortable. Need a cushion for my shower chair. For my mother so she has a softer seat when getting her shower. to make my bath chair more comfortable.